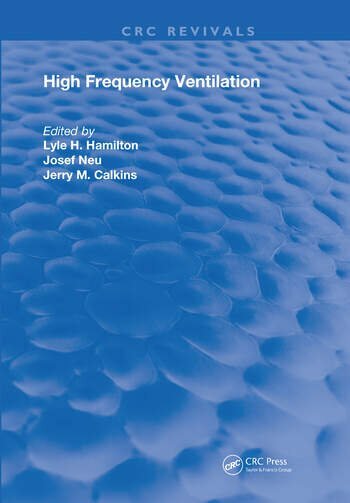 First Published in 1986, this book is an invaluable reference for the management of mechanical ventilation systems in high frequency areas. With references and statistics, this book is a helpful guide for Environmental Health Officials, Managers and other professionals in their respective fields. 1. Historical Development of High Frequency Ventilation. 2. High Frequency Ventilation: Why it Works. 3. Pulmonary Gas Exchange. 4. Regulation of Breathing During High Frequency Ventilation. 5. High Frequency Ventilation by Transthoracic Oscillation. 6. Hemodynamic Effects of High Frequency Ventilation. 7. High Frequency Ventilation in Pediatrics and Neonatology. 8. Delivery Equipment and Monitoring Techniques for High Frequency Ventilation. 9. Selection of Mechanical Ventilation Support Based on Respiratory Pathophysiology. 10. High Frequency Ventilation in the Operating Room. 11. Complications and Pathology Related to High Frequency Ventilation. Index.